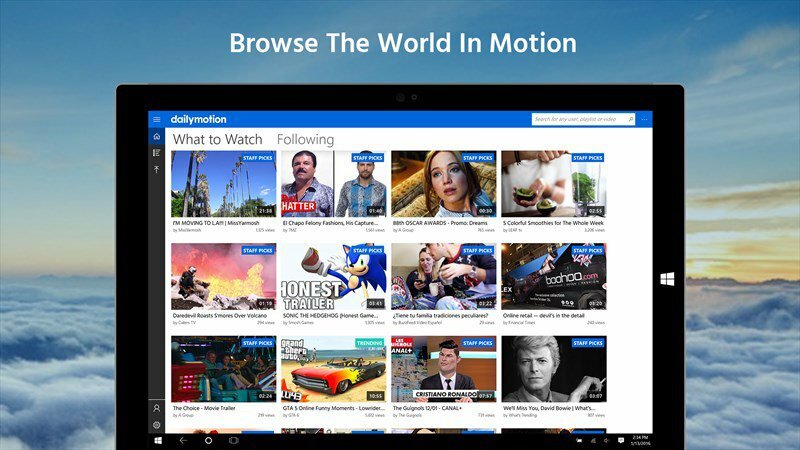 The popular video streaming website DailyMotion now has a universal Windows 10 app. This means that you can install the app on every Windows 10 device you own. Users can view their favorite videos while they are on a mobile device or a desktop. With the app, you can browse your favorite videos, comment on them, and share the videos. Users can also discover trending videos through staff picks and personalized suggestions.